Those of you who know the melody of that John Denver classic may want to sing along after hearing about Chaa Creek’s Sunshine on My Shoulder Season Super Saver. Because if enjoying The Lodge at Chaa Creek’s eco-luxe accommodations and amenities, along with a half dozen exciting activities – all for under a hundred bucks a day – doesn’t put a song in your heart, nothing will. 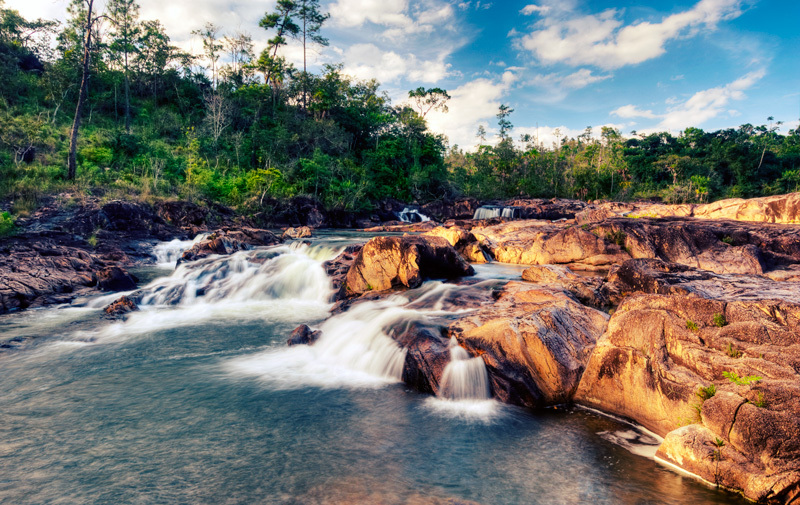 US$99.00 a night to stay at Belize’s premier jungle lodge? With complementary activities? And from now until the first of December? How, you may ask, is such a deal possible? And while references to “Perks of Age” and “retirees” make sense when you consider that many people of a certain age have more flexible time arrangements, the benefits of Chaa Creek’s Sunshine on My Shoulder Season Super Saver are open to pretty much anyone who can organise an autumn getaway. “I was thinking how everyone wanting to take their vacations in the summer might be putting a strain on the HR department. To help out, I’d be willing to take all or part of my holiday time in October or November, when things are slower. And then, hero that you are, you take advantage of better airfares, less people and Belize’s excellent autumn weather. And make no mistake; some lovely weather is to be had in Belize during those autumn months. Consider that September, October and November have an average combined temperature of around 78° F (25.5°C), with daytime highs of around 83° (28°C) and nightly lows of 75° (24°C). And with the dry season over, some early morning and evening shower make all the blossoms and greenery come alive while leaving the days warm and sunny. 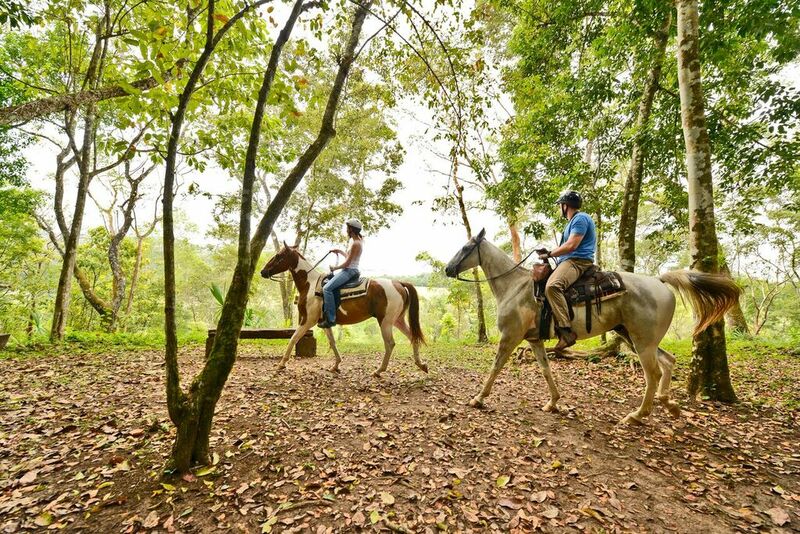 Ideal conditions for swimming, canoeing, horseback riding, nature walks, exploring ancient Maya temples and all the other fun outdoor activities to be had at Chaa Creek, while the evenings are cool, and perfect for snuggling, either with your bed mate, blanket or combination of both. As is having Xunantunich and other popular ancient Maya temple sites pretty much all to yourself, and generally enjoying the slower pace and more relaxed atmosphere of a country catching its breath before high season begins. For while Belize never gets as crowded and busy as some other tourism destinations, it’s still noticeably mellower during shoulder season. 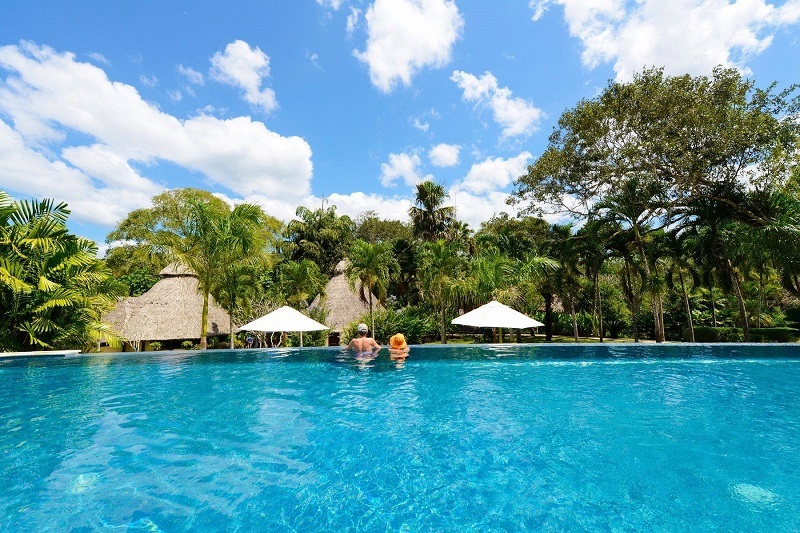 And, if you take advantage of Chaa Creek’s Sunshine on My Shoulder Season Super Saver, a Belize vacation becomes very, some would say, insanely, affordable. But this is indeed a case of temporary insanity, and our accounting department will have everyone coming back to their senses soon enough. Meaning that the sanest course of action is to book now and start preparing for a Belize vacation that will leave you with fond memories, a healthy bank account, and your boss wondering how you got that glowing tan. 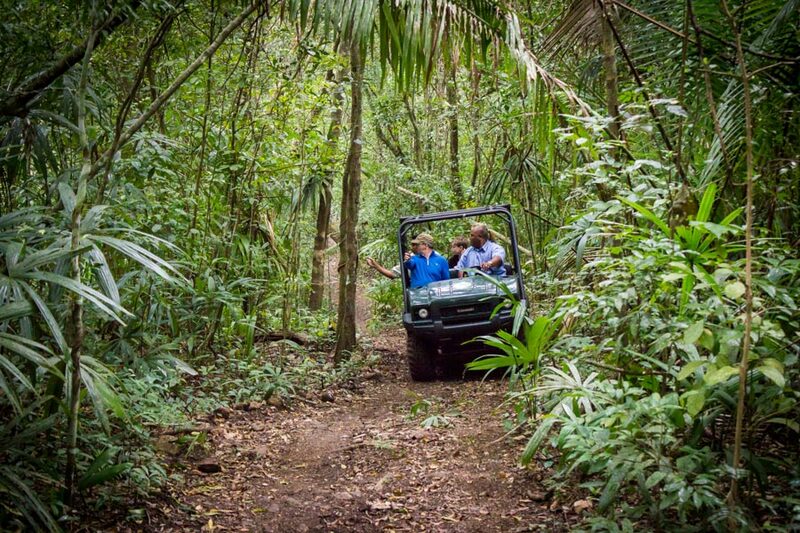 Stay tuned for more Shoulder Season offers, including special all-inclusive Belize vacation pages, Retiring in Belize Fact-Finding vacations, and other specials in the months ahead. Once Again, Belize’s Colorful Local Cultures Make International News!